Trade your car form is bundled with the WordPress Classifieds & Trade Your Car Module and customers interested in car trading can submit their vehicle with full information and photo gallery for free. 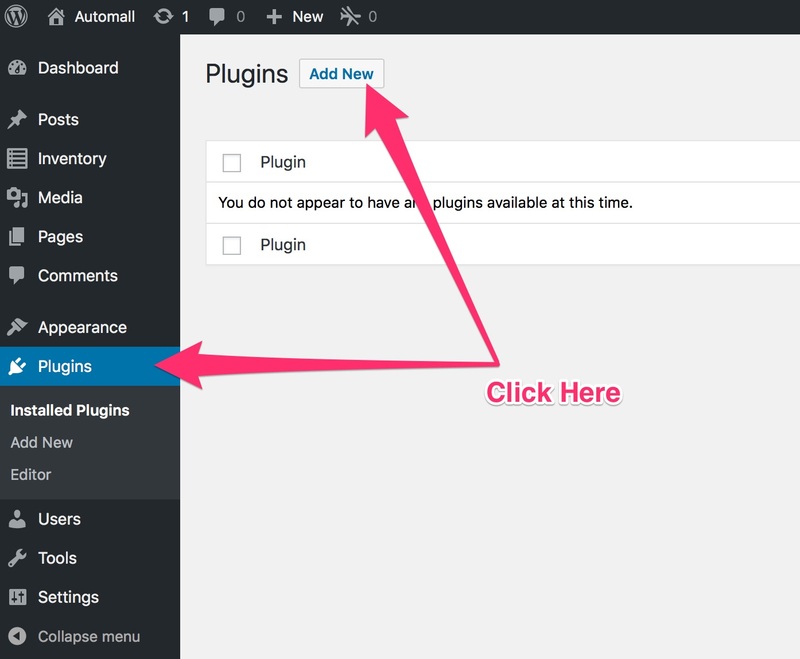 Upload add-on to your WordPress website. 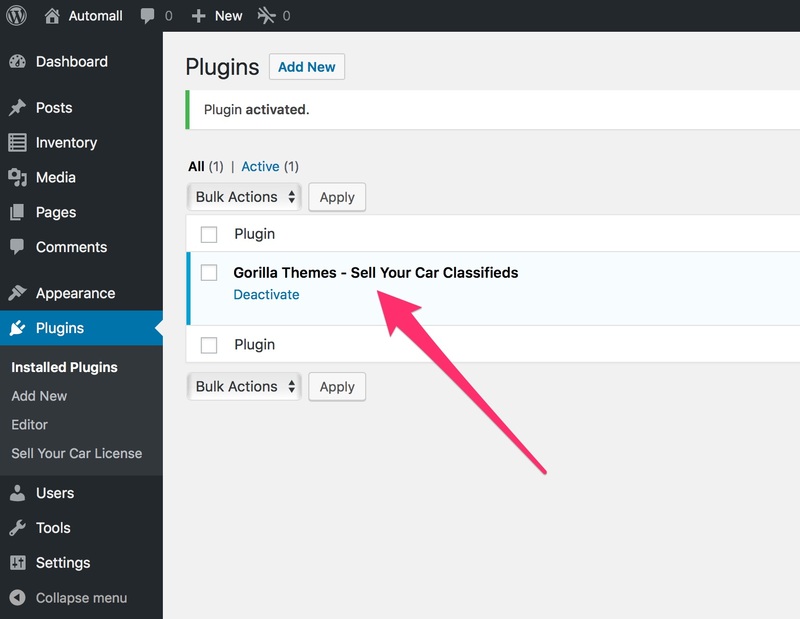 Add a Trade your Car Page Template. 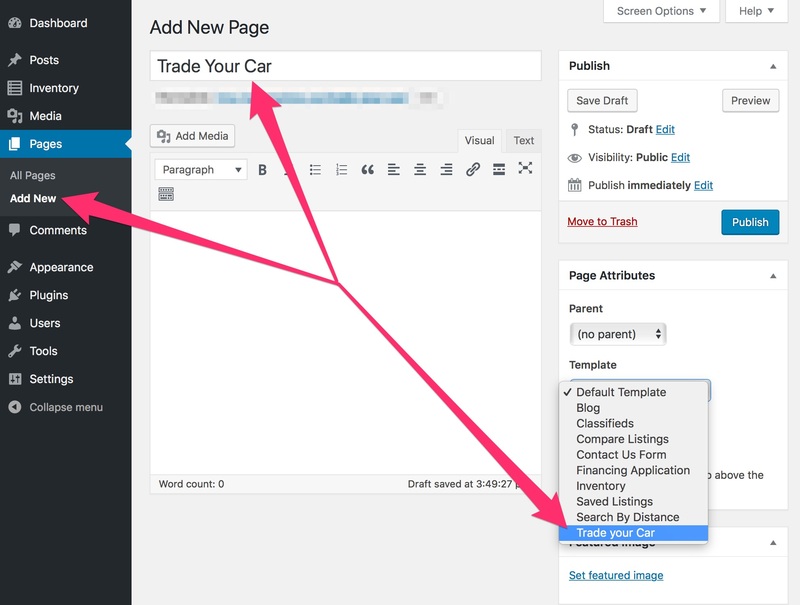 Go to Dashboard > Pages > Add New and create a new page template named Trade your Car (or any name of your preference) and select the page template Trade your Car as described in the image below and click Publish. 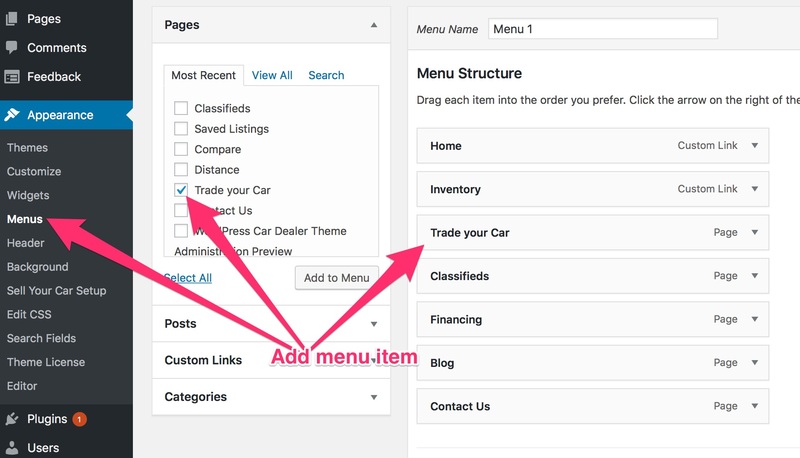 Go to Dashboard > Appearance > Menu and select Trade Your Car page and add it to your Header menu as shown below and your menu item will show in the navigation and the form is ready to be used by your visitors.